Send us an email to tell us about your situation. Are you a new client?Yes, I am a potential new client.No, I am a current existing client. Up to 6,000 fatal crashes each year may be caused by drowsy drivers. According to the National Sleep Foundation, 60% of adult driver have driven vehicle while feeling drowsy and one-third of those adults have fallen asleep at the wheel! 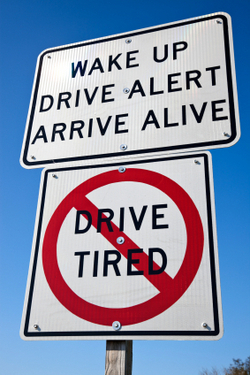 When a driver is drowsy, the driver becomes stressed, impatient and drives faster. A drowsy driver also experiences lapses in attention, slow reaction times and inability to make good decisions. This leads to vehicle crashes. Drowsy drivers have been sentenced to jail for driving incidents that occurred while they were driving drowsy. Multi-million dollar settlements have been awarded to crash victims and families of crash victims injured or killed by a drowsy driver. How many times have you been driving and are startled by the sound of the rumble strip on the shoulder of the road? You are drowsy! Pull over and rest. 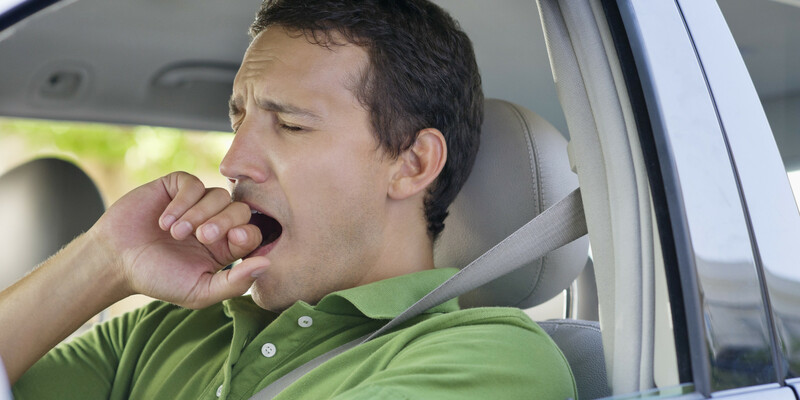 Accidents caused by drowsy drivers are preventable. When you choose to drive drowsy, you are putting your own life and the lives of others at risk. Make the commitment to not drive drowsy. If you or a loved one has been injured by a drowsy driver, take action now for a free consultation or second opinion by calling 312-375-6524! "There are all kinds of reasons why you might need a lawyer at some point(s) in your life. Whatever the reason, what you want is someone that understands you, advises you properly (hey, our emotions can override our intellect), works hard on your behalf and is willing to go the distance. Phil Berenz is just this kind of lawyer. I had a situation where I needed the assistance of a lawyer and fortunately he was recommended to me. Phil can walk that delicate line of completely understanding --feeling your pain--to giving you the best advice based on his experience. Some lawyers may tell you what you want to hear to run up your fees. Not Phil. He's a top-notch negotiator and has the patience to build relationships with the opposing side to gain the best benefit for the client. He is very skillful at understanding the psyche of the other parties. I could go on and on, but basically what I want to say -- if you need a lawyer, call Phil. If he doesn't have the expertise that you require, he'll recommend you to someone that does and you can be sure they will be of a high calibre too."